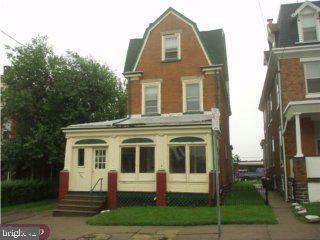 This AS-IS property is the perfect opportunity for a rehab project waiting for someone with the vision. It boasts a private enclosed front porch area, huge living room, dining room, Master Bedroom and 4 other roomy bedrooms. All up to date windows except for 3rd floor. Recently upgraded hot water heater. There is a 2 Car garage in the rear of home plus a plenty of space in the back yard area that will provide for additional parking if desired, an off-street play area for the kids, basketball court or entertaining groups. Located in the Historic Germantown area of Philadelphia, this home is centrally located with easy access to Lincoln Drive, Rt 676, Center City, City Line Avenue and Chestnut Hill.